Everyone is familiar with Henry VIII’s story, one way or another. Whether from TV (The Tudors) or film (The Other Boleyn Girl) or just plain old history class, we all know about King Henry’s driving desire for divorce in his quest for a male heir. But acclaimed author Hilary Mantel approaches the story from a different angle in Wolf Hall. She tells the story of Henry VIII and England in the early 1500s through protagonist Thomas Cromwell. Cromwell rose from his working-class family and abusive father into the tutelage of Cardinal Thomas Wolsey, feared advisor of the King. Learning from the master of manipulation, Cromwell takes over after Wolsey’s death, assisting the King in obtaining a divorce so he can marry Anne Boleyn. What results is a character study hidden within a game for the throne and Henry’s heir. Mantel’s Wolf Hall is just the first in a planned trilogy following Cromwell in England’s history. She has a very unique voice that takes some acclimatizing to. While told in the omniscient third person, everything unfolds from Cromwell’s perspective with Mantel referring to him constantly as “he” in similar fashion to a first-person narrator referring to themselves as “I.” This removed yet personal perspective gives you a new outlook into the world of England at this time while still providing humorous moments and observations. For anyone in love with English history, this a new take on an old story. 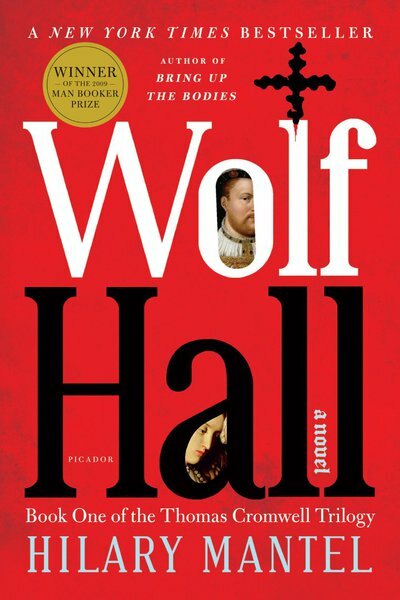 Because Wolf Hall is a part of a trilogy, much of the novel is spent developing Cromwell as a character and setting up many of the other royal characters. It takes nearly 2/3 of the book before it feels that something is really happening with the Anne Boleyn plot, and the ending (dealing with Thomas More) feels anticlimactic. Yet I still find myself eager to read Bringing Up Bodies (the sequel), so it appears that Mantel is at least a captivating storyteller. 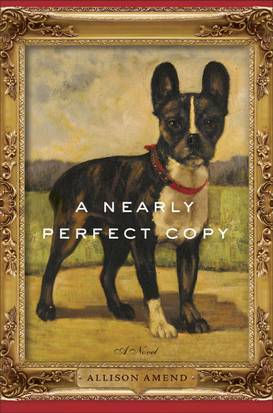 A Nearly Perfect Copy tells two very different yet tangentially connected stories about copies—one involving cloning, the other art forgeries. Reeling from the devastating loss of her young son, Elm falls down a rabbit hole of science-fiction proportions when she discovers a way to potentially clone her son, thus returning him to her. Meanwhile, struggling painter Gabriel Connois gets involved in a lucrative art forgery plot as he puts to use his skills at creating paintings in the style of his great-grandfather, the renowned painter Marcel Connois. Both stories could be compelling, fully-imagined stories in their own right; but author Allison Amend mashes these two stories together in a very trite and arbitrary way. While both characters are well developed, the parallel worlds they inhabit are hard to jump back and forth between. And Elm’s professional life as an art expert in an auction house distracts from her cloning plotline as Amend tries to make her career relevant to Gabriel’s life. In the end, A Nearly Perfect Copy suffers from trying too hard. Amend is desperately trying to engage the reader in a conversation about copying, whether in art or in our personal lives. And although she has some valid arguments to present, her convoluted novel is not the ideal setting for such a discussion—especially with such depressing storylines weighing down the central characters and the novel’s tone. The chapters jump between Kate in the present, uncovering her daughters’ secrets and Amelia’s past leading up to her death. Interspersed are text conversations, gRaCeFULLY posts, email exchanges that further illuminate the secrets these women are hiding. It’s an immersive structure that is imminently readable while also providing compelling commentary on the social media conversational gap between parents and children. There are also a lot of relevant plot points involving school bullying, Internet friendships, and adults’ responsibilities towards teenagers. McCreight weaves in plot twists left and right that are both unpredictable and satisfying. 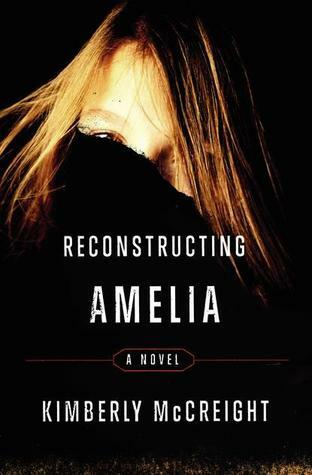 Though not as dark and psychologically disturbing as Gone Girl, Reconstructing Amelia is a great, swift read that’ll keep you up until the wee hours, trying to uncover all the secrets. This is one novel that should be at the top of your summer reading pile (right after this and this, of course).